Manage your finances without sacrificing any time by using online banking. This free service allows you to conduct major banking services like checking balances and transaction history, making transfers, and more from the convenience of your office. Since you're already managing a lot during sacred business hours, this 24/7 service can help you stay on track financially, around your schedule. 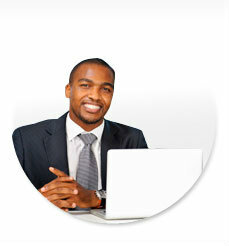 Pay bills 24/7, anywhere with internet access. Enjoy around-the-clock access to statements.